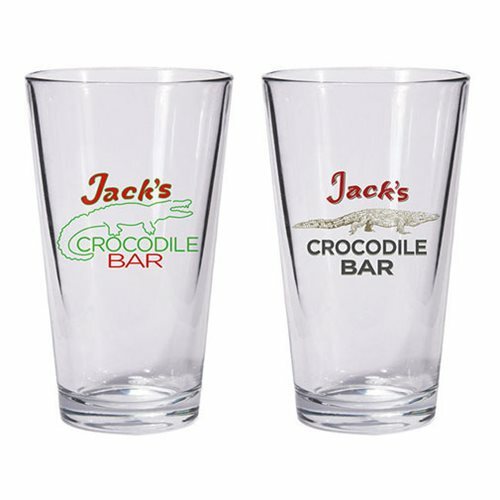 The Crocodile Bar is a helluva dive—just ask Jack. The beers are inexpensive, and lives are cheap! DarK Horse Comics have replicated a set of the pint glasses found there: a different bar logo on one side of each glass and "A Great Place for a Beer and a Bite" on the reverse. Includes two pint glasses.